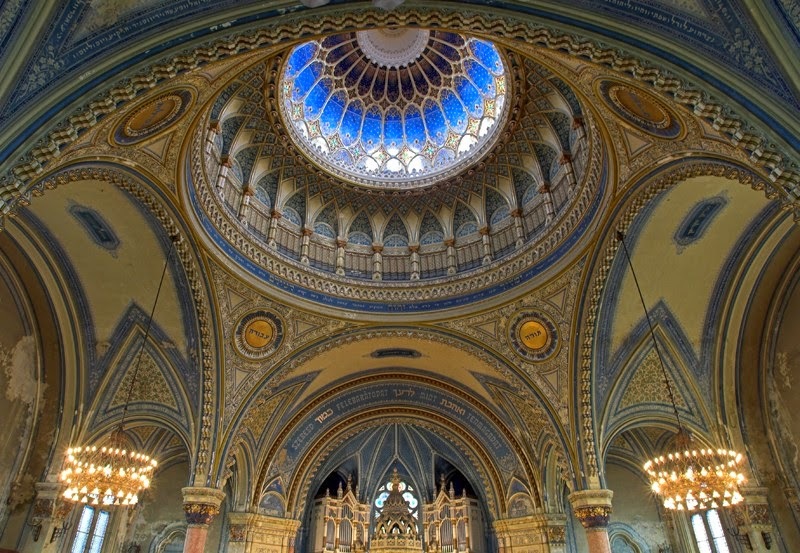 The Szeged Synagogue (Hungarian: Szegedi zsinagóga) is a synagogue in Szeged, Hungary. 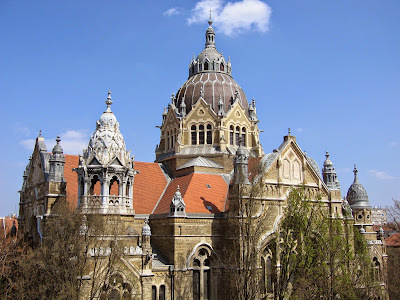 It is a 1907 building designed by the Jewish Hungarian architect Lipót Baumhorn (1860–1932,), whose work is considered to contain the finest examples of the unique fin de siecle Hungarian blending of Art Nouveau and Historicist styles sometimes known as Magyar style. 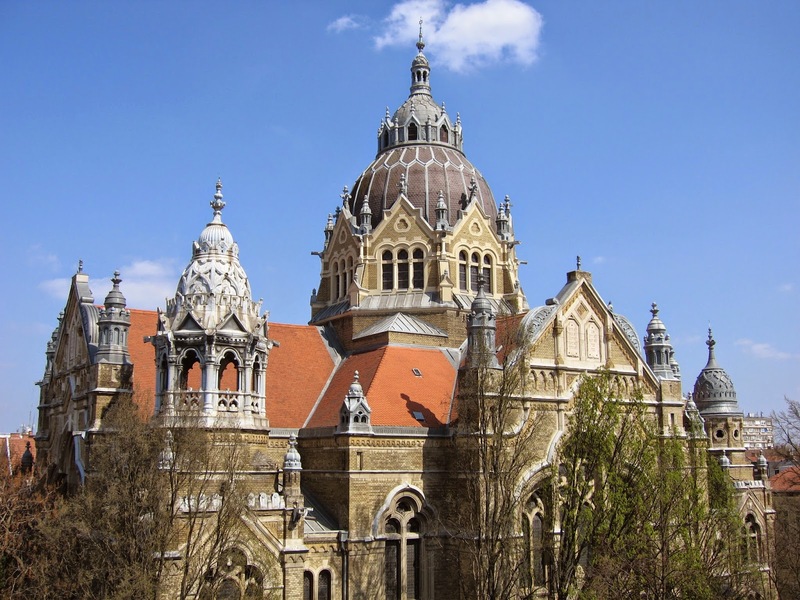 It served Szeged's large Neolog community. 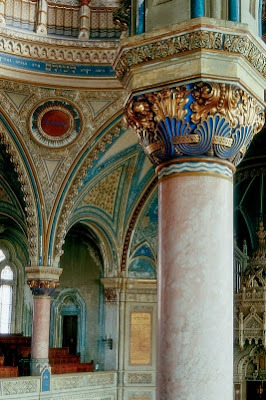 The building's interior, with its 48.5 meters (159 feet) tall domed ceiling, draws on multiple historical styles to produce its overall Art Nouveau/Moorish Revival style. The rib-like wall above the organ has Gothic origins, while the columns supporting the galleries are Roman. The interior of the great dome, and all of the building's stained glass, are the work of the artist Miksa Róth. The design of the Torah Ark alludes to the Holy of Holies in the Temple of Solomon by using sittimwood from the banks ofNile, the wood called for in the building of the Temple of Solomon in 1 Kings. 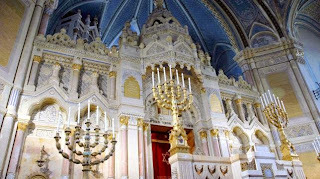 The hinges are in the shape of the Hysop plant, a plant used in the ancient Temple service. 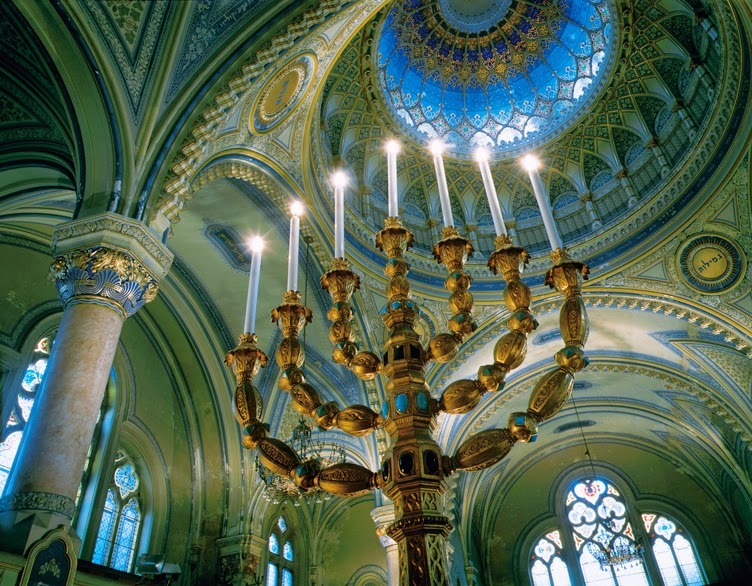 The Szeged Synagogue is the second largest in Hungary after the Dohány Street Synagogue in Budapest, and the 4th largest in the world.